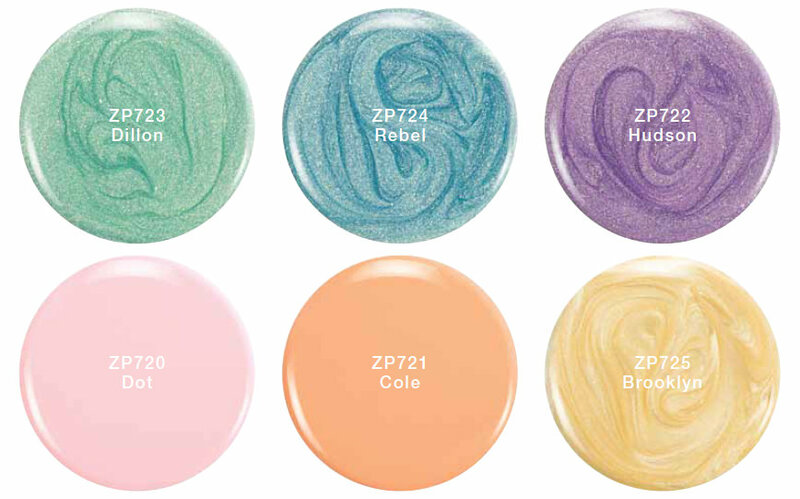 Earlier this month I showed the press release for Zoya's Magical Pixie Collection, and today I've got another Zoya collection for Spring 2014. • ZP722 - Hudson: Purple Orchid Shimmer Metallic, Full Coverage Formula. • ZP720 - Dot: Pink Petal Cream, Full Coverage Formula (originally created for fashion designer Zang Toi’s SS14 collection). • ZP721 - Cole: Peach Whisper Cream, Full Coverage Formula (originally created for fashion designer Peter Som’s SS14 collection). holographic flakes of Zoya Monet lend an impressionistic color change option to existing color palettes. Never boring, this artistic topper can be applied as an accent or used as an overall color changer. Zoya Awaken and Monet, the special effect topper, are available for pre-order now on Zoya.com and will ship out February 2014. Update: Awaken & Monet nail art here, here, and here.